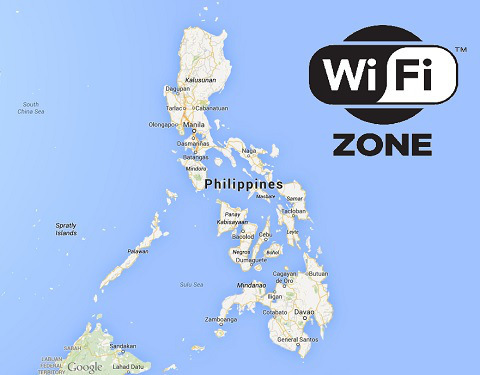 The Department of Science and Technology (DOST) through its Information and Communications Technology Office (ICTO) has targeted that by the end of the year 2016, 93% of the country will have free WiFi coverage. The ICTO that will evolve into the just established Department of Information and Communication Technology (DICT) will implement the project. According to DOST Undersecretary Louis Napoleon Casambre, "'Yung remaining 7 percent, 'yan 'yung mahirap pasukin like 'yung Turtle Island, but we will look for other solutions for them,"
Currently, free WiFi services are already existing in Metro Manila such as the Quezon Memorial Circle in Quezon City, the Philippine Coconut Authority, Social Security System office, Land Transportation Office, and at the Rizal Park in Manila. The ICTO has requested for a budget of Php3.2 billion for its implementation of the public WiFi in 2017. The 2 dominant telcos, Globe and Smart supports the project in which a data cap of 50MB will be provided to an estimated 117,000 who will avail of the service. Globe has recently opened free WiFi services to MRT station platforms. This project also raises the possibility of WiFi access in schools and educational institutions that will boost the educational programs not only of public education but also in private educational institutions as well. Casambre disclosed that all distributors are welcome to participate in the project. This will also result in telecom products to be available with affordability and quality in mind for those who use the project.